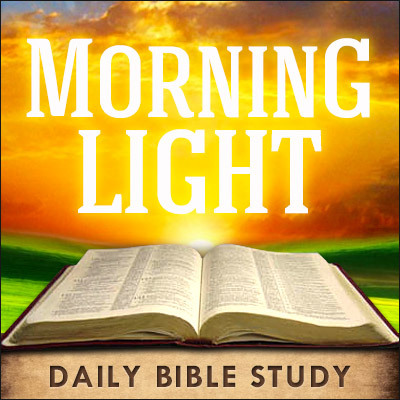 Today: [Proverbs 4] Heeding the Voice – Receiving the Promise. In Proverbs 4 Solomon continues his plaintive cry to his son Rehoboam to receive the instruction of a father. Considered in the context of history Solomon’s writing of proverbs failed to reach even his next generation. His own son refused his counsel and once he took the throne the kingdom was taken from him and the nation divided by civil war. Yet the large context of the writing of Proverbs points to the voice of Father God in our lives as a resource of wisdom and blessing that we are exhorted to hear and to heed on a daily basis. [Pro 4:1-27 KJV] 1 Hear, ye children, the instruction of a father, and attend to know understanding. 2 For I give you good doctrine, forsake ye not my law. 3 For I was my father’s son, tender and only [beloved] in the sight of my mother. 4 He taught me also, and said unto me, Let thine heart retain my words: keep my commandments, and live. 5 Get wisdom, get understanding: forget [it] not; neither decline from the words of my mouth. 6 Forsake her not, and she shall preserve thee: love her, and she shall keep thee. 7 Wisdom [is] the principal thing; [therefore] get wisdom: and with all thy getting get understanding. 8 Exalt her, and she shall promote thee: she shall bring thee to honour, when thou dost embrace her. 9 She shall give to thine head an ornament of grace: a crown of glory shall she deliver to thee. In Proverbs 4 Solomon continues instructing his son. Specifically, his words no doubt were directed at Rehoboam who took the throne after Solomon’s death. In that light we see the book of Proverbs as a book of rejected counsel for Rehoboam completely disregarded his father’s wisdom and as a result the kingdom was divided during his rule after Solomon. We also read the book of Proverbs in the context of Solomon’s own moral failures and compromises he made with his foreign wives and idolatrous practices. These perspectives do not cause us to discount Proverbs but to view it in the setting in which it was written and the manner in which it was received by its intended recipient (or not received as was the case). There is so much deep truth in Solomon that has benefited millions so it is bitter sweet that it did not avail Solomon’s heir of the wisdom that would have established his throne. It was what Solomon did and not what he said that made the greatest impact upon Rehoboam. In crying out to be heard of his own son, Solomon was a man standing in the gale force winds of his own moral failure vainly shouting to be heard. In verse 3 Solomon speaks of his relationship with his father David and his mother Bathsheba. It is a rare insight into his upbringing by his notable parents. Most of what we know of David and Bathsheba was the scandal of their early relationship – but we see how they made the effort after losing Solomon’s older sibling in death as an infant – they made a concerted effort to raise Solomon with care and proper guidance. Solomon reveals that what he is saying to his son, David likewise said to him “My son let thine heart retain my words: keep my commandments, and live…” David likewise counsel his son Solomon in the context of his own moral failings but in his case Solomon heard his father’s words and sought to come to know the God his father David so devoutly worshipped. 10 Hear, O my son, and receive my sayings; and the years of thy life shall be many. 11 I have taught thee in the way of wisdom; I have led thee in right paths. 12 When thou goest, thy steps shall not be straitened; and when thou runnest, thou shalt not stumble. 13 Take fast hold of instruction; let [her] not go: keep her; for she [is] thy life. 14 Enter not into the path of the wicked, and go not in the way of evil [men]. 15 Avoid it, pass not by it, turn from it, and pass away. 16 For they sleep not, except they have done mischief; and their sleep is taken away, unless they cause [some] to fall. 17 For they eat the bread of wickedness, and drink the wine of violence. 18 But the path of the just [is] as the shining light, that shineth more and more unto the perfect day. 19 The way of the wicked [is] as darkness: they know not at what they stumble. Solomon calls upon his son to hear what he is saying that the years of his life would be many. Solomon saw himself as a teacher to his children. This wasn’t something he left to others. It is a father’s primary duty to teach his children. Often in our culture the religious instruction of children is left in the care of mothers who usually delegate such things to the institution of the church to implement through children’s programs. There is nowhere in scripture were we are given leave to abdicate the prerogatives of instructing the young to the institutions of religion we may be involved with. When each of us stands before the judgment and gives an account of ourselves and our children – we will be unable to use the institutions of the church as the justification for proper instruction of the young. It is OUR job to raise our young in the fear and the admonition of the Lord. God will not ask nor hold accountable the Sunday School worker, or Christian school principal or Children’s Church worker why your kid’s didn’t make it in the kingdom. That responsibility will fall squarely upon the parents and more so even upon the father. [Gen 18:19 KJV] 19 For I know him, that he will command his children and his household after him, and they shall keep the way of the LORD, to do justice and judgment; that the LORD may bring upon Abraham that which he hath spoken of him. This is the responsibility of every father and every mother. If the writer of Proverbs speaks out as a father and says “hear the instruction of a father” and “keep the law of thy mother” then we as mom’s and dad’s should take it not only as a duty that falls to us but a calling from heaven to be the originators of such guidance and directives to our children. This applies at any age. Our culture says when the children are 18 that our job is done. Nothing could be further from the truth. You have a patriarchal mandate with your children and your children’s children regardless of their maturity or station in life. The strength of our culture and the breakdown of our society is greatly accelerated because we have deigned to cast our children on the waves of life and leave them to find their own way. Perhaps they would not receive our counsel. Perhaps they scorn our instruction. We live in a day when we absolutely despise the hoary head and the gray haired ones in our midst. We warehouse them in locked down facilities and bid them have the good graces to die at an opportune time so as not to burden our lives. It was not always so but we can begin to pray and begin to make changes even in our own lives in our attitudes toward our own elderly. 20 My son, attend to my words; incline thine ear unto my sayings. 21 Let them not depart from thine eyes; keep them in the midst of thine heart. 22 For they [are] life unto those that find them, and health to all their flesh. 23 Keep thy heart with all diligence; for out of it [are] the issues of life. 24 Put away from thee a froward mouth, and perverse lips put far from thee. 25 Let thine eyes look right on, and let thine eyelids look straight before thee. 26 Ponder the path of thy feet, and let all thy ways be established. 27 Turn not to the right hand nor to the left: remove thy foot from evil. [Isa 30:21 KJV] 21 And thine ears shall hear a word behind thee, saying, This [is] the way, walk ye in it, when ye turn to the right hand, and when ye turn to the left. Verse 21 says “let THEM not depart…. Keep THEM in the midst of thy heart…” We need to adhere and heed both of these resources of divine wisdom. Both the WORD OF GOD (what the Lord has SAID) and the VOICE OF GOD (what the Lord is SAYING). Many people largely have little more than a passing acquaintance with the scripture. Very, very few are actively seeking out and cultivating a hearing ear to the inward and active voice of God continually speaking in their lives. Yet they complain and moan that there is no blessing of God in their lives. They say “where is God” and “where is the promise of His word” – speaking of a word that they largely ignore and a voice in their lives they have never taken time to learn how to hear and to heed. Verse 22 says THEY are life to those that find THEM and health to all their flesh. We must have BOTH the LOGOS of the scripture and the RHEMA of the prophetic word and the inward voice of the Father in our lives or we have NO REASONABLE expectation of see the blessing of God attached to both of these resources to become a reality in our lives.